Leave a comment on THIS post by 6 p.m. CT Tuesday, October 4, 2016 to be entered in the DRAWING for a copy of the book below. If you mention in your comment that you’re a follower (see in the left sidebar “Join This Site” and “Follow by Email”), I'll add your name a second time in the drawing. U.S. mailing address required to receive a paper book. I may or may not have read books offered for giveaways. The mention and giveaway of books on my blog does not in any way indicate any manner of my endorsement of said books. Read book giveaway details at Disclaimers. To provide you security, please leave your email address like this: johnATyahooDOTcom. Winner announced in next Thursday's blog post. the good, the bad, and---maybe one day---the chocolate. She’s the author of the re-release, Entrusted: Surrendering the Present, as well as the sequel, Entangled: Surrendering the Past. She also shared her story in the infertility devotional, A Walk in the Valley. She blogs every other Wednesday for Christians Read. She resides in Ohio with her husband and two children. 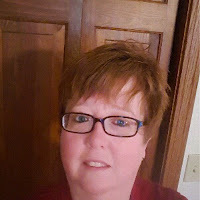 Learn more by visiting her at website where she invites readers to subscribe to her monthly newsletter full of resources and giveaway opportunities at Julie Arduini: Surrender Issues and Chocolate and the weekly email, Sunday's Surrender and Chocolate. Readers, please enjoy Julie’s article below about her upcoming book, Engaged: Surrendering the Future, available this year around the holidays. When I first wrote Entrusted, I didn’t really think about it becoming a series. As I revised it and considered publishing it, I knew a series sold better. Book Two, Entangled, came to be when the ending of Entrusted fell into my lap through prayer and opened the door for best friend Carla to have her own story. What about the third story? Engaged: Surrendering the Future is the book I’m finishing up. What I love about this is it is Trish Maxwell’s story. She was the “bad girl” from Entrusted. This time around, she’s back in Speculator Falls without a job, and she has a lot of explaining to do. The last time the Adirondack Mountain residents saw her, she left a trail of dust, a broken heart, and a lot of angry people when she left for New York City without any notice. Engaged has Trish up against a lot of conflict. The senior citizens she used to work with are furious with her for leaving the center. She has a new idea for a career, but she isn’t sure she can make it work. Her parents are trying to prepare for retirement, and they are leaning on her to fill the gap at the department store. At every turn she’s reminded of what she did, but also asked what are her plans. Then there is a cute paramedic who seems to show up just when she’s about to run out of town. wasn’t much more than following her parent’s lead going to church, so she’s trying to find something real that is hers. Trish means a lot to me because we all know a Trish. We might even be a Trish. I write surrender fiction because I want readers to find freedom through surrender. My prayer is they read about characters like Jenna, Carla, and Trish and realize if these characters can be transformed, so can they. I’m happy for you to be the first to see the Engaged cover. You can look for Engaged on Amazon around the holidays. Julie, thanks for visiting with my readers and me. One commenter to this blog post will be selected to receive an eBook copy of Engaged when it releases. Commenters, to enter the book drawing please leave your comment through October 4, 2016 and remember to leave your email address so I can contact you if you’re the winner. The winner of last Thursday’s blog post for a copy of Second Chances and Second Cups by Donna Schlachter is Teri D. I’ll email you. Thanks all for commenting. Watch for more book giveaways. You can keep up to date with my writing by signing up for my mailing list. 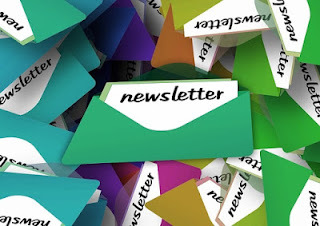 When you do, you'll receive a free quarterly e-newsletter and timely announcements about happenings of interest. I have a monthly drawing among those who sign up for my mailing list for the first time, and each month the winner receives a free eBook copy of their choice of one of my books. Enjoyed the interview. I haven't read any of her books and would love to start with this one. Ann, thanks for stopping by and leaving your comment. Glad you've found a new-to-you write here. Nice to read this post and learn of this interesting author. Thanks Jo for such a nice blog. Sonja, you're welcome. Glad you enjoyed the blog post. Thanks for commenting. Thank you, Jo, for the opportunity to show off Engaged. I'm really excited about it. Ann and Sonja, I'm starting a book club at http://facebook.com/JulieArduiniAuthor with my first book, Entrusted. We're going to read through all my books and have a great time together. I hope you join us! Julie, you're welcome. It's my pleasure to have you visit with my readers and me. Another great writer to follow. Nancy, thanks for coming by to comment and for following my blog! Heidi, thanks for leaving your comment. I love Julie's writing style. It's so real and sincere. This looks like a great book! Carolyn, thanks for stopping by to leave your comment.